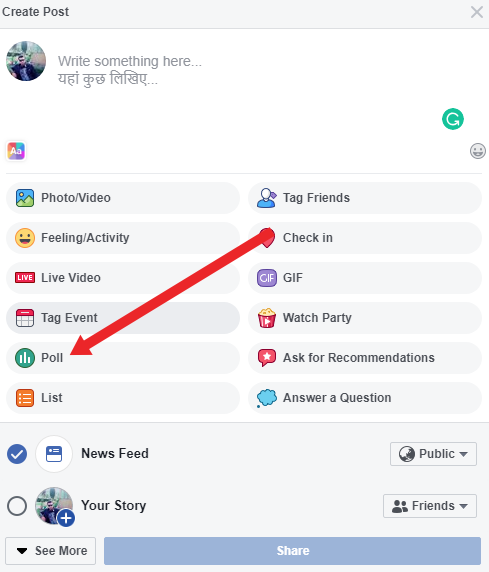 How to Create a Poll on Facebook: Hell friends today's Facebook is one of the most popular social platforms in the world. Its popularity can be estimated by the fact that almost every person using a smartphone uses Facebook. 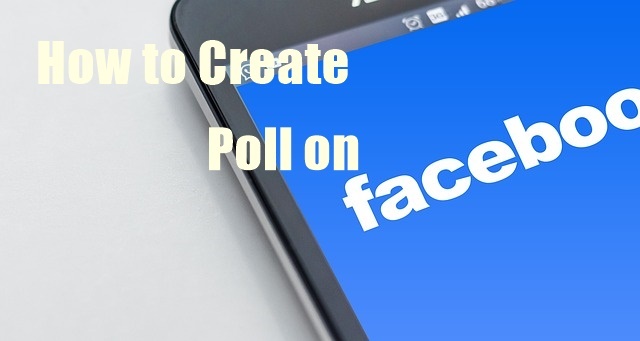 in today's article, we are going to talk about How to Create a Poll on Facebook. Facebook gives a lot of creative options for its users, one of them is Facebook poll. Today we will know How to create a poll on Facebook? Making a poll on Facebook is very easy. You can easily create a Facebook poll on your mobile phone. The goal of making a poll on Facebook is to get people's opinion or survey on a topic. The Facebook poll is widely used in election time or the environment. It is tried to take people's feedback through this. Many companies make facebook polls for review or marketing of their product. It shows people's demand and public views. Nowadays people are using a Facebook poll in DP fight which has become quite popular. 1. First of all open Facebook. If you are not logged in on facebook then log in from your account. 2. Clicking according to 1st step will bring you many options, as shown in the image below. Now you have to click on the poll as shown in the photo. 3. After completing the 2nd step, the window will open as shown in the image below. All the polling work will be done right here. Ask any question you want in your poll, instead of asking a question ... For example, who is more popular than Facebook and Whatsapp for example ... ??? Option 1. You write down the name of the question you want to ask. To upload the photo you can click on the given option. You can also create a text poll without uploading the photos. Please write the name of the 2nd person by clicking on. Option 2. Upload photos from the photo option provided for Photo uploading. You can also create a Text Poll without uploading photos or upload GIF instead of photos. After that, the options below are Poll EndsClick on it to set its limits, that is how many days it has to run. Such as 1 day, 1 week, 1 month etc. After doing this, now your pole has been ready. Share it by clicking on the Share option at the top. Now your poll will go live. Any person who is in your friend list will now know about the poll you have created. 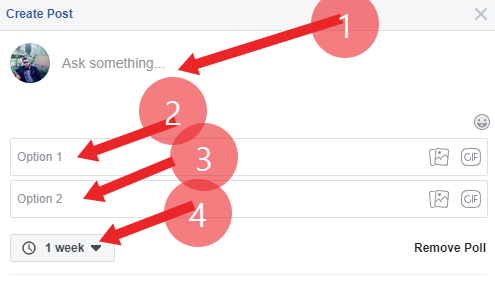 Hopefully, friends should have liked this tutorial in which we know about making a poll on Facebook. Making a poll on a popular social networking site like Facebook, you can learn public views about anything. Making a poll on Facebook is very easy. According to this tutorial, you can easily create a Facebook poll.